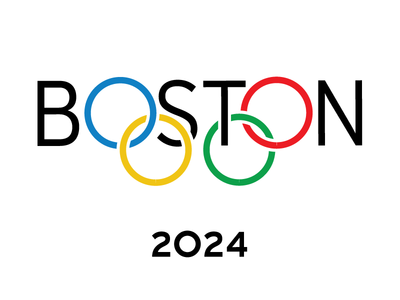 You may have heard that Boston has pulled its bid to host the 2024 Summer Olympic Games. While there were many reasons for this (finances, feasibility, other priorities, etc), basically the voting public heard what it would entail and tossed away the whole idea like tea into the Boston Harbor. 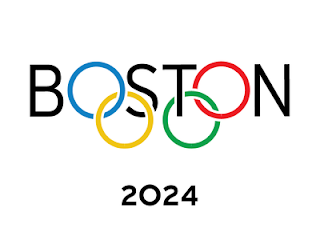 In a victory for democracy and/or Twitter, Bostonians decided they needed "more than a feeling" from the Boston 2024 boosters rather than simply being told, "don't look back." 10. Watching Michael Phelps dodge swan boats and "dirty water" in his attempt to win his record-breaking 45th gold medal. 9. The under-inflated water polo balls DeflateGate controversy. 8. The USA fencing team channeling their revolutionary forebears by slicing their way past Great Britain in the medal round. 7. 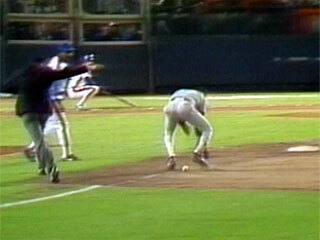 Bill Buckner coaching the USA croquet team -- finally, "through the wickets" is a good thing! 6. Whitey Bulger running all the betting action on boxing from his prison cell. 5. Observing supermodel Gisele Bundchen turned away from the golf event at Brookline Country Club -- the one that rejected her and Tom for membership -- then watching her blame Wes Welker via Twitter. 4. The high tech laser show at the Opening Ceremonies featuring a recurring image of former Governor Michael Dukakis in a tank. 3. Watching international tourists literally get lost on the MTA and "never return." 2. Dunkin' Donuts coffee replacing Gatorade as the athletes' drink of choice (mostly because you can't find anything else in this town). 1. Watching the survivors of the Boston Marathon bombing light the Olympic flame. Don't forget the crowd singing "Sweet Caroline" during the closing ceremony.